Most people are familiar with making compost from food wastes that can be done in the backyard. Rotten vegetables, fruits, grass, and leaves are common ingredients of compost which are then used for home gardening purpose. Compost is an important soil amendment made of decomposed plant matter including food scraps. Adding compost to soil helps to restore the organic matter content allowing for greater moisture and nutrient retention and providing necessary food for essential microorganisms that live in healthy soil. Through innovation in recycling technology, there are many eco-friendly composters available in the market today. One such amazing food recycler, ‘Zera’ from WLabs that recycles a week’s worth of a typical family’s food waste into ready-to-use homemade fertilizer within 24 hours! Designed for the kitchen, it reduces food waste by over two-thirds its original volume through a fully automated process. The result is ready-to-use fertilizer you can spread on your lawn, outdoor plants, and garden. 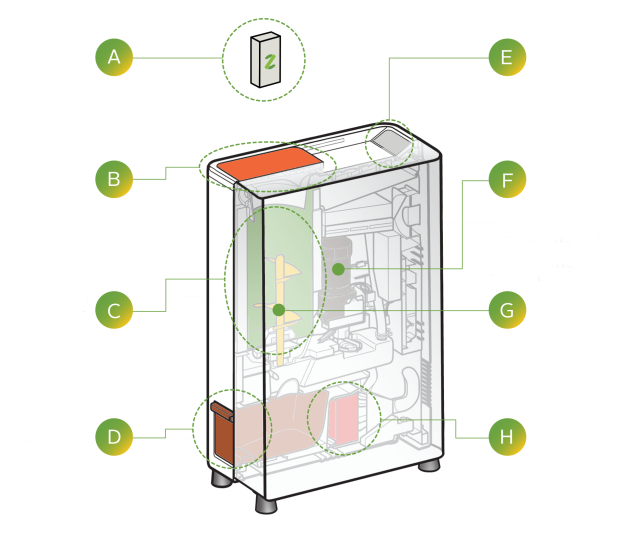 The Zera food recycler uses oxygen, moisture, heat, and agitation to speed decomposition of a week's worth of food scraps within 24 hours. The additive provides the "brown" material necessary for the decomposition process. 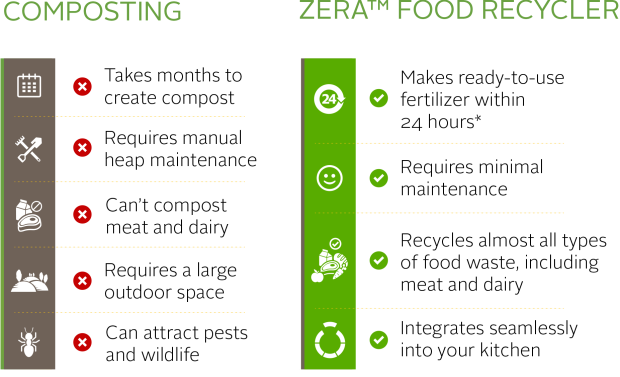 Unlike traditional composting, Zera automatically controls moisture, heat, air, and the process is not exposed to unwanted pests or wildlife. Traditional composting takes months to process, requires a large outdoor space, manual heap maintenance, and can attract pests and wildlife. "Whirlpool has been an innovative company since our beginning. Now with WLabs, we have a dedicated team focused solely on finding new ways to serve consumers. That’s exciting," says Brett Dibkey, VP – Integrated Business Units. 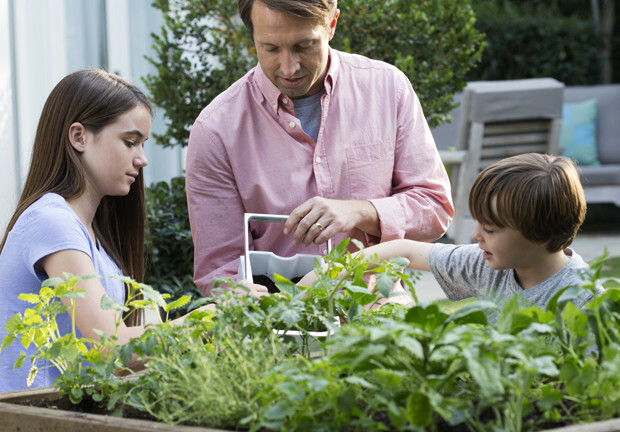 The innovation arm of Whirlpool Corporation, WLabs constantly aims to discover unique facets of consumers that lead to new green products that support our ecology system. 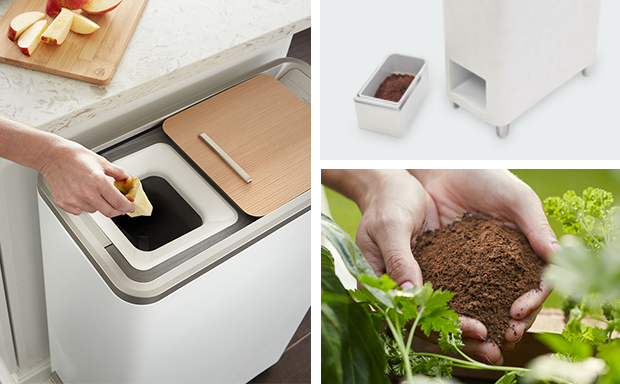 Zera Food Recycler the easy-to-use solution for sending less food to the landfill, and more to your land that improves the environment. Its App enables you to operate Zera right from your smartphone or tablet. You can use it for many features, such as start and pause the device remotely, get a notification when the cycle is complete, and when the filter needs replacement, control the lid locks, progress status from anywhere. It uses additive made from coir, a plant-based resource, and baking soda that breaks down the food waste. Its HEPA/carbon filter helps to reduce odors. 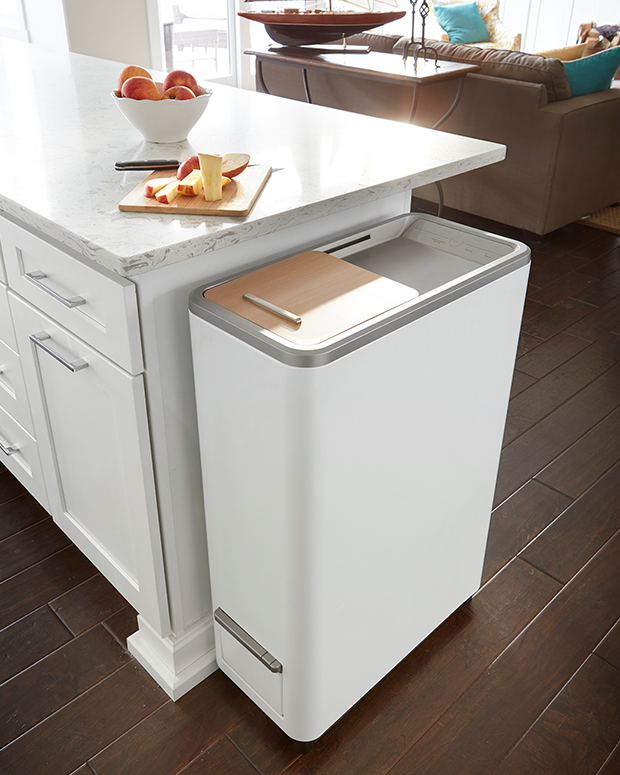 The fund-raising campaign for Zera Food Recycler is currently live at Indiegogo for a goal of $50,000 and product is expected to deliver during this summer. Zera Food Recycler is the third innovation from WLabs; they have successfully brought SWASH Clothing Care System and Vessi Fermentor and Dispense to the market. SWASH is the system that lets you remove light wrinkles from your clothes, refresh, and re-wear, in just 10 minutes. While, Vessi Fermentor and Dispenser is the single tank that ferments, carbonates, and dispenses home-brewed beer. Zera has been awarded the CES 2017 Best of Innovation Award under Eco-Design and Sustainable Technologies product category.